So You’re Needing to Sell Your House Fast in Houston? I need to sell my house fast, Houston! What do I do? 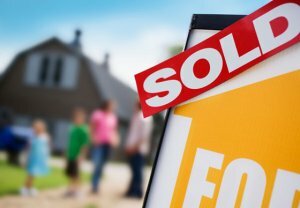 Are you needing to sell your house fast and you’re not sure what to do next? Believe me, We’ve all been there. We can help you sell your house fast, Houston. There are a ton of problems that can compromise your home-ownership. Whatever your situation that you’re going through, the investors at ARCO Home Solutions can assist. We offer a wide variety of options to meet your needs to get your house sold as quickly as possible. Selling your house fast also decreases the amount of debt you can possibly take on and increase your potential cash flow. What solutions does ARCO Home Solutions offer? ARCO Home Solutions offers speedy solutions to sell a house fast in Houston that fit in with any situation. We purchase houses to provide a way out of potentially bad situations. Working with a trusted investors that can assess your property and give you the best advantage is worth the time and effort it takes to arrange a meeting. Well will work hard and get you that much needed no obligation cash offer within 24 hours. Our process is simple and fast. We quickly assess each individual situation to make the best recommendations for moving forward. We work closely with you to ensure your needs are met with professionalism. It can be very tough at times to go through this process, and we completely understand. We find out the underlying situation and help you figure out a strategy that will allow you to close in a time that is best for you. Does my situation qualify for this program? Our services work well with many situations where purchasing your house cash will be a viable solution. Things happen every day. Knowing you have an outlet if needed can give you peace of mind. Does my house have to be in top condition? Absolutely not! We are real estate investors and understand how difficult it is dealing with a property. That’s why we buy houses AS-IS, and with cash, to alleviate any additional burdens you may experience when attempting to sell your house fast in Houston. Give us a call! We can give you an offer for your house in less than 24 hours. There’s no need to worry about situations beyond your control. For more information on how we can assist, contact ARCO Home Solutions today and let us invest into your future!